Maximillian Wells, the Earl of Trent, couldn't believe his ears-or his eyes. 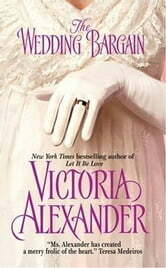 Before him stood beautiful, unattainable Pandora Effington, the town's most scandalous beauty, and the fiery heiress was making him a most tantalizing offer. If he wanted to take Pandora's hand in marriage, he had to play a game of her devising-and he had no intention of losing. Most of London's eligible bachelors left Pandora cold and she longed for a true hero-a man who would do anything in his power to win her love. Maximillian's very touch sent shivers down her spine and made her dream of long nights spent in his arms. But was he willing to risk everything he held dear to prove his love? I quite enjoyed is book. A few times where I laughed out loud. Well written. Clever way Max tries to accomplish the tasks Pandora assigns him. 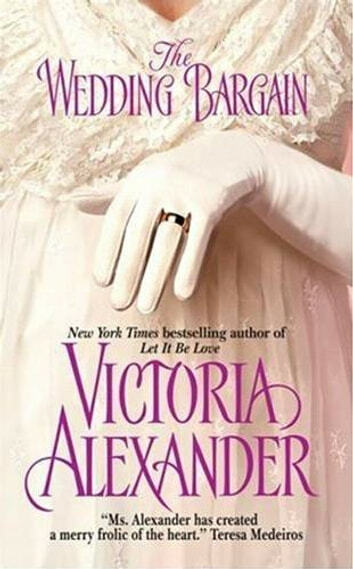 I'm never disappointed with Victoria Alexander. This book was so amusing. I found myself chuckling all the way through. I love this Effington Famiy Series.